In South Africa, it’s now 28%, but you can pay less than that if you allocate more income to members at a lower rate, thus reducing profit. See Fixed Accounting for more. Accordingly, if the taxpayer renounced a right for the benefit of a third party for no consideration, it will be difficult for the taxpayer to discharge the onus that he did not have an intention of generosity or liberality. As a result the taxpayer will in all likelihood be liable for donations tax which is levied at 20%. It should, however, be noted that if the taxpayer does not settle the donations tax liability, the South African Revenue Service, can hold the done personally liable and recover the outstanding donations tax from such a person. In addition to the abovementioned donations tax implications, the taxpayer needs to establish whether the transaction has any CGT implications. In terms of the Eighth Schedule to the Act, a “capital gain” arises when the proceeds received on the disposal of an asset is greater than the base cost of the asset. The meaning of an asset for purposes of the Eighth Schedule to the Act is defined widely and includes “property of whatever nature, whether movable or immovable, corporeal or incorporeal, excluding any currency but including any coin made mainly from gold or platinum as well as a right or interest of whatever nature to or in such property”. The meaning of a disposal on the other hand specifically provides for the inclusion of the waiver or the renunciation of a right. The renunciation of the right by the taxpayer would constitute a disposal of a capital asset and the taxpayer will be liable for CGT on the difference between the proceeds received, and the base cost of the right. If the taxpayer waived the right for no consideration, the proceeds would be nil. However, in terms of paragraph 38(1)(a) of the Eighth Schedule, where a person disposes of an asset by means of a donation, or for a consideration not measurable in money, or to a connected person for a consideration which does not reflect an arm’s length price, the proceeds will be deemed to be the market value of the asset on the date of the disposal. If an asset is disposed of by means of a donation, such disposal is deemed to have taken place at market value for CGT purposes and the taxpayer will be liable for CGT on the difference between the market value of the right and the base cost thereof. Accordingly, unless careful consideration is given to the construction of a transaction, the good intentions of a taxpayer can have adverse tax consequences. It should, however, be noted that none of the tax implications set out above will be applicable if the taxpayer makes a donation to an approved Public Benefit Organisation. If you own residential immovable property through a trust, company or close corporation CC you should really think about transferring the property into your own name. Until 31 December 2012, a trust, company or CC can transfer residential property tax-free to beneficiaries or members if they meet certain conditions. 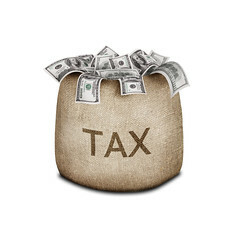 These conditions are set out in paragraph 51A of the Eighth Schedule to the Income Tax Act, 1962. One condition is that the property must be transferred to a person who ordinarily resided in the property for a certain period. But on 2 June 2011, the National Treasury announced that it intends changing the law to scrap this condition. The only requirement in this regard would be that the member or beneficiary had to use the property for domestic purposes. The effect of the proposed change will be that companies, CCs and trusts may be able to transfer second homes and holiday homes to their members or beneficiaries tax-free.It is very important that you get solid tax advice if you are thinking about transferring residential property from your company, CC or trust. For instance, if the conditions referred to above are met, the entity should not suffer transfer duty or capital gains tax when it transfers the property. But the entity may still suffer donations tax.